Satya Nadella (CEO of Microsoft) and Mark Zuckerberg (CEO of Facebook) accepted and completed ice bucket challenge in support for charity to ALS. Both of them dumped a bucket of ice water on themselves. Why people are dumping ice water on themselves? They are doing this to support charity for ALS. After completing this challenge they can challenge more people to dump bucket of ice water on themselves or donate to ALS foundation or both. ALS (amyotrophic lateral sclerosis) is a disease which causes its patient to lose muscle control making it difficult to eat, speak and breath. Mark Zuckerberg was challenged by Governor Chris Christie. After completing challenge by Governor Chris Christie Mark Zuckerberg challenged Bill Gates, Sheryl Sandberg and Reed Hastings. Satya Nadella was challenged by Steve Gleason. After completing challenge he challenged Jeff Bezos and Larry Page to dump bucket of ice water on themselves or donate to ALS foundation. 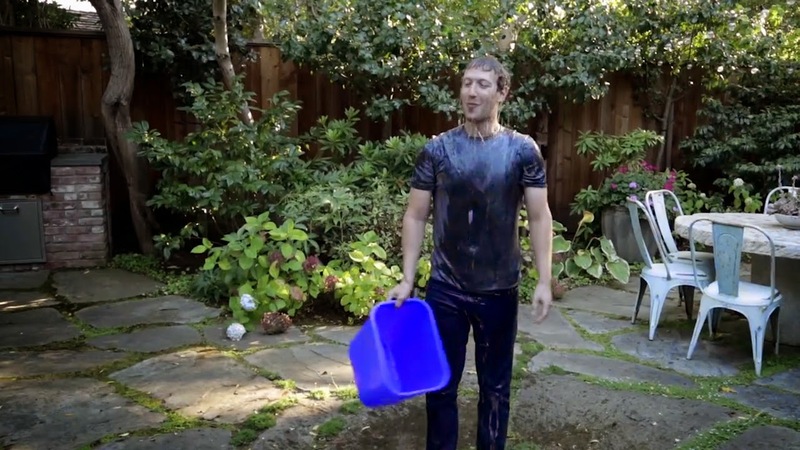 Bill Gates accepted and completed ice bucket challenge by Mark Zuckerber. Not just Bill Gates, lots of other people have completed this challenge.